We have additional information regarding Gabriel Jackson, the 50-year-old man who was accused in August 2017 of posing as an Uber driver to defraud passengers by stealing debit and credit card numbers. We reported on Sunday that Jackson had reached a plea deal that saw him plead guilty to one count of operating a continuing financial crime enterprise. In exchange, the state dropped 22 remaining felonies and he received a sentence of one-day probation. That is all true. It turns out there’s a little more to it, though we’re not so sure the additional information will restore your faith in the county justice system. You see, while Jackson was on electronic monitoring awaiting resolution of the Uber scam cases from August 2017, he was arrested again for doing the exact same thing....twice. 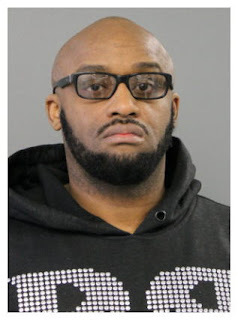 In February, prosecutors charged Jackson with thirteen more counts of identity theft and operating a continuing financial crime enterprise after two people reported that he stole their debit cards and PINs while posing as a ride-hail driver earlier that month. While on electronic monitoring late on February 11th, Jackson posed as an Uber driver to give an Uptown man a ride in his White Lexus SUV, police said. The 35-year-old victim said Jackson swiped his debit card on his phone and then asked him to enter his PIN. Jackson never returned the man’s credit card. Instead, he used it along with the man’s PIN to withdraw $1,000 cash from a Chase Bank ATM in the 3900 block of North Sheridan. Police said Jackson pulled the same scam around 11 p.m. on Feb. 4th to defraud an Oak Park woman of $1,000 in ATM withdrawals and a Jewel-Osco purchase. Again, Jackson was on electronic monitoring. Police arrested Jackson at his home on Feb. 21st. Last week, Jackson also pleaded guilty to one count of operating a continuing financial crime enterprise in the February cases as part of a plea deal. The state dropped twelve other felonies. Judge Thomas Byrne sentenced Jackson to six-and-a-half-years for the February cases. Byrne gave Jackson credit for 488 days time served while awaiting trial—including the time that Jackson spent on electronic monitoring ripping off other people. Under standard Illinois practices, Jackson’s prison term was automatically reduced by 50% in anticipation of good behavior. So, his actual time behind bars would be 3.25 years. Then, back out the 488 days “time served” on electronic monitoring and his sentence becomes 698 days. So, bottom line, Jackson can expect to be released in less than two years. The February cases were missed in our first report because the court records were not cross-referenced with the August cases at sentencing.